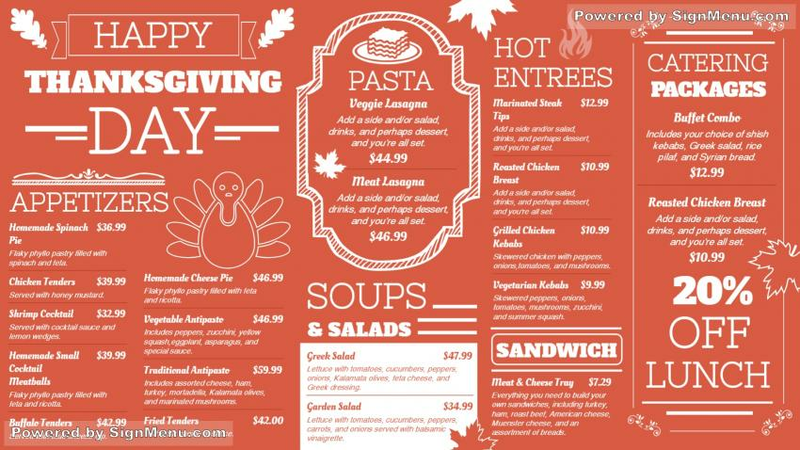 This Thanksgiving menu board is class personified ! The brownish-orange background color with the white typeface is an instant sell-out ! Other outstanding creative designs include the Pasta menu inside an egg-shaped circular design: Catering packages placed within a rectangular box, and the soups & salads inside a white square box at the bottom. On a digital platform, a sure winner !